so rad Marq!!! I would love this one without the band info on it! Will there be a artist version or handbill version? i can envision this becoming a little art print/handbill thing someday. When and where can I buy one of these? When? Hopefully very soon, maybe next week. 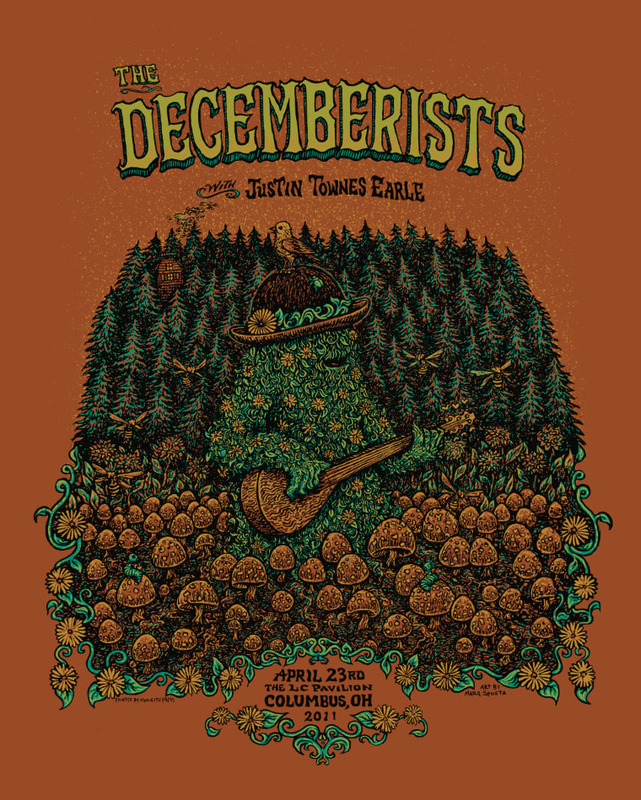 Where: From The Decemberists webstore first, then eventually an artist edition sold here. I missed the Decemberists drop so hopefully the artist can help out folks that were actually at the show. 1st in the door night of the show and still no poster. oogly, googly, i love this!